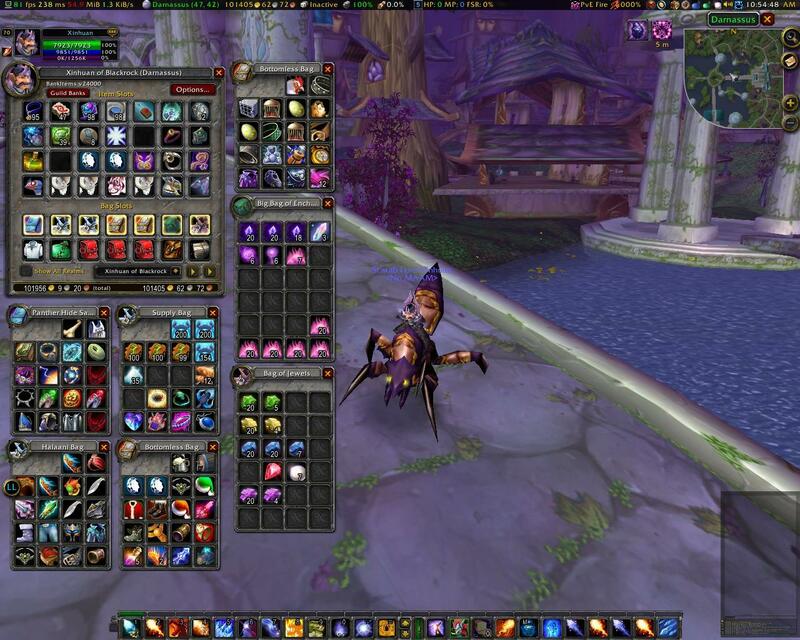 (*temporary) = "attempt to index upvalue 'selfPlayer' (a nil value)"
Group similar items = "Group similar items"
BankItems Bindings = "BankItems Bindings"
BANKITEMS_CAUTION_TEXT = "CAUTION: Some items were not parsed/displayed in this report because they do not exist in your WoW local cache yet. A recent WoW patch or launcher update caused the local cache to be cleared. Log on this character and visit the bank to correct this OR hover your mouse on every item in every bag to query the server for each itemlink (this may disconnect you). Toggle BankItems and all Bags = "Toggle BankItems and all Bags"
Search guild banks = "Search guild banks"
BankItems Options = "BankItems Options"
Open currencies bag = "Open currencies bag"
Open auction house bag = "Open auction house bag"
Show only exact item matches in tooltip counts = "Show only exact item matches in tooltip counts"
Delete a Character: = "Delete a Character:"
Search mailbox = "Search mailbox"
Open guild bank = "Open guild bank"
Include the following guild banks: = "Include the following guild banks:"
Toggle BankItems Guild Bank = "Toggle BankItems Guild Bank"
Show bag prefix = "Show bag prefix"
Show extra item tooltip information = "Show extra item tooltip information"
Toggle BankItems and all Bank Bags = "Toggle BankItems and all Bank Bags"
Open BankItems bags with Blizzard bags = "Open BankItems bags with Blizzard bags"
Lock main window from being moved = "Lock main window from being moved"
Delete Data for... = "Delete Data for..."
Open void storage bag = "Open void storage bag"
Open mail bag = "Open mail bag"
All Realms = "All Realms"
On the command "/bi": = "On the command "/bi":"
Open reagent bank = "Open reagent bank"
Open BankItems with Blizzard windows = "Open BankItems with Blizzard windows"
Search these bags... = "Search these bags..."
Search equipped gear = "Search equipped gear"
Open bank bags = "Open bank bags"
Open BankItems and... = "Open BankItems and..."
Show reagent bank contents in a bag = "Show reagent bank contents in a bag"
Open equipped items bag = "Open equipped items bag"
Delete a Guild: = "Delete a Guild:"
Toggle BankItems = "Toggle BankItems"
Search bank and bank bags = "Search bank and bank bags"
Open inventory bags = "Open inventory bags"
Search inventory bags = "Search inventory bags"
of = " of "
Show void storage contents in a bag = "Show void storage contents in a bag"
Show the minimap button = "Show the minimap button"
Hi, what helped for me was to delete the addon with all settings (saved variables) and then installing again. Then go through all your characters to build its database again.